In 2017, 70 cities in Germany significantly exceeded the limit value for nitrogen dioxide in some cases. Reducing nitrogen oxide levels in communities is the aim of the German government's “Clean Air 2017-2020” emergency program. 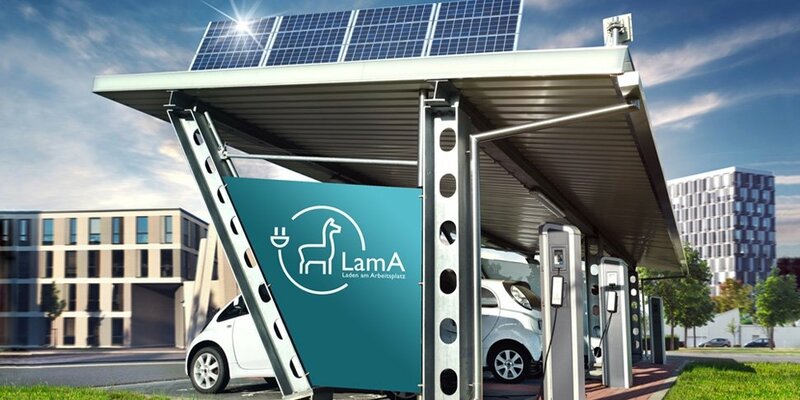 The joint project LamA is also involved and aims to counteract the high nitrogen oxide load by setting up charging infrastructure at selected locations. Overall, the LamA measures are expected to save around 100 tons of nitrogen oxides annually. The sites planned for the construction of the charging infrastructure are located in communities which in some cases considerably exceed the annual average nitrogen dioxide limit value and the vast majority of which are confronted with infringement proceedings. A total of 310 AC charging points (up to 22 kilowatts) and 28 DC charging points (up to 150 kilowatts) will be established at 18 Fraunhofer sites. Fraunhofer FOKUS will set up a charging infrastructure at the institute's location in Berlin-Charlottenburg. With the iKoPA (integrated cooperation platform for automated electric vehicles) project consortium, the FOKUS researchers will offer demo drives with networked automated electric vehicles on December 5 and 6 in Berlin. The presented applications include a pseudonymous reservation of charging stations, camera-supported navigation in the multi-story car park, pseudonymous authentication of the vehicle at the car park via vehicle-to-x communication as well as the transmission of charging station information via the digital radio standard DAB+.